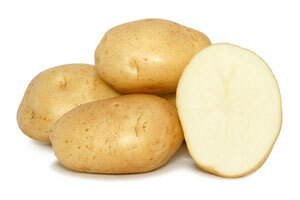 Do away with prep and trim and start with NoPoCo fresh peeled potatoes. Our premium select potatoes are peeled, sealed and delivered to your kitchen ready to go. 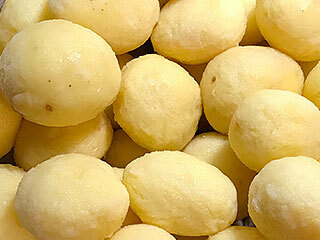 The Chaleur is an early harvest white potato with great flavour right from the field. Just roast them and eat! A great all around potato that makes wonderful fries as well. The Kennebec is one of the oldest variety of white potatoes around for good reason; they are credited for making the best french fries. 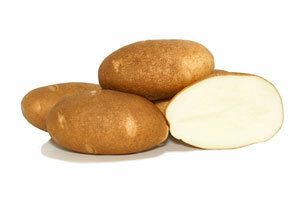 Not known for a great appearance but Kennebec potatoes have great flavour. The Gold Rush Russet is a long thick-skinned potato. 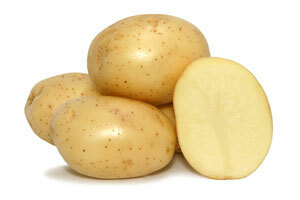 It is North Americas most popular potato for making French fries and also great for baking and mashing. 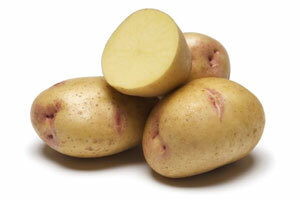 One of the most popular potatoes around, the Yukon Gold has yellow skin and flesh. 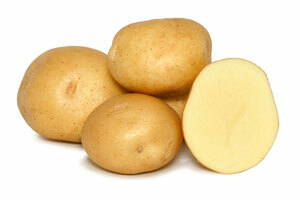 This popular potato is a favorite for mashed potatoes and works well for French fries too! Very similar to the Yukon Gold, the Yukon Gem is slightly rounder and does not have as yellow flesh as the gold. With its subtle pink eyes the Yukon Gem is very attractive on a plate when roasted and is a great tasting masher or french fry. The Chieftan is a very popular red potato. 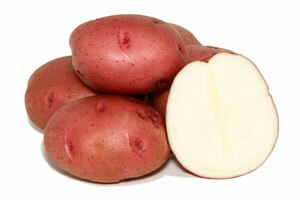 Round in shape with bright red skin and snow white flesh makes it a beautiful potato for salads and home fries. Mini Cheiftans look great on a plate as roasted potatoes.